The painted floor has been peeling over the years and regular re-coating only made the problem worse. We were asked to provide a new floor surface option that would brighten the room and reflect light, be easy to clean and maintain. 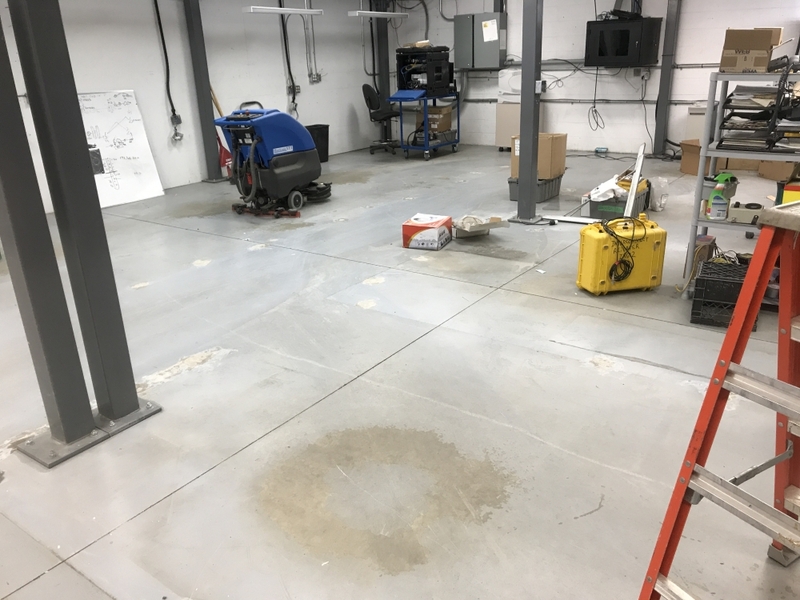 We reviewed several flooring options including epoxy floor coatings, and listened to what the client’s needs were. It was determined that removal of all paint and polishing the concrete floor would be the best long-term solution. Our crew was careful not to damage the concrete during paint removal and used specialized resin diamonds to complete this step. 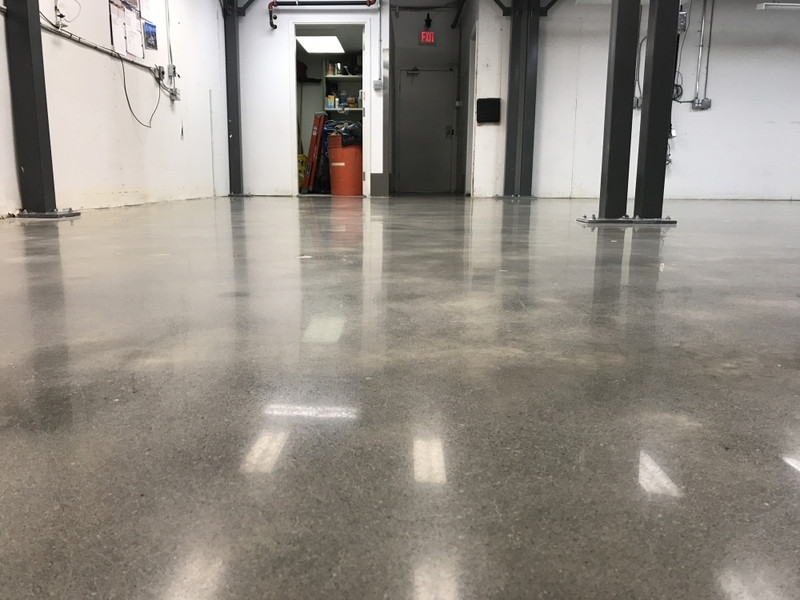 After paint was removed, the floor was progressively ground, densified, honed and polished to 3000 grits for a deep shine. 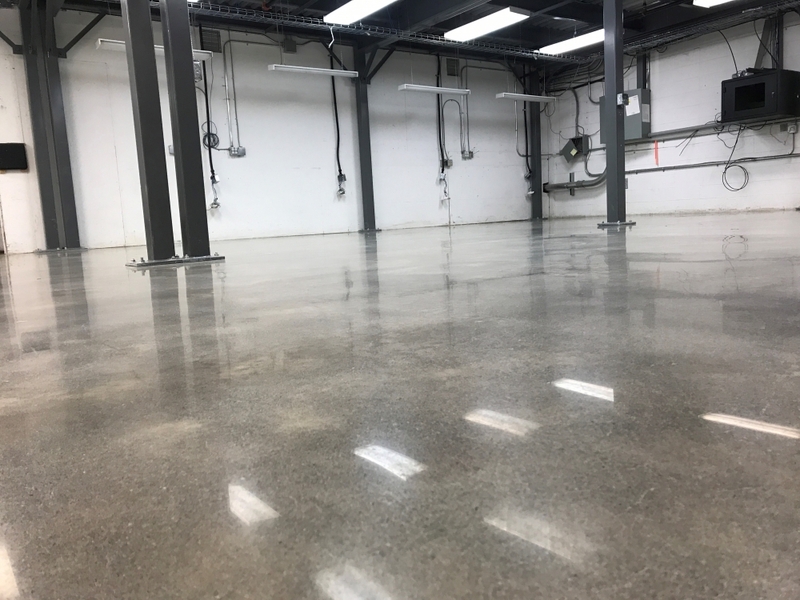 A penetrating sealant was applied to protect against staining and ensure a long lasting floor with minimal maintenance.